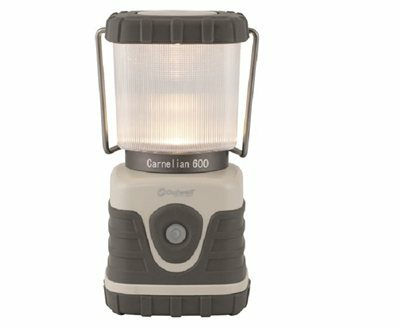 Outwell Lanterns offer sturdy lighting options with innovative features for flexible use on site from area to cooking and eating. The Carnelian hand-held lantern is perfect for lighting up the tent with a hanging function and a removable lantern globe. The lantern is weather resistant and comes in a smart, reliable design that copes easily with the rough and tumble of tent life.